A staunch admirer of birds, I enjoy watching back-yard birds from the year round sparrows and cardinals, winter juncos and starlings, to the summer time mourning doves and robins. After dogs, cats and fish, birds are America's fourth favorite pet(1). But, are our "feathered friends" really friendly? 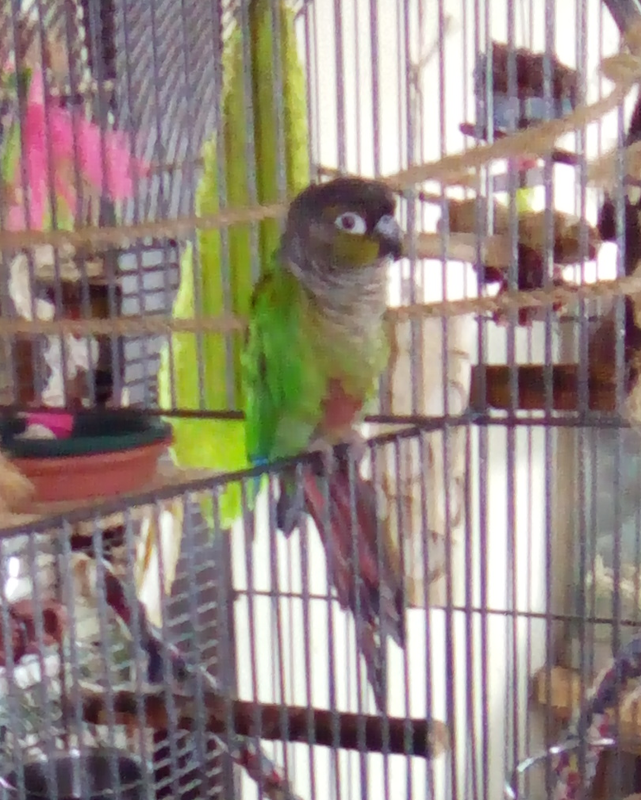 I have a ten-year old parrot (a green-cheek conure) and ruefully, I have to say, "Not mine!" I have been unable to train him to do a single thing. On the flip side, my friend has an African Grey parrot which, I believe, is around 20 years old. The parrot is a riot and one of the coolest pet birds I have ever seen. It dances, it talks, it cuddles. It is everything that those of us with pet birds hope to have in a companion bird. However, my friend is "all in" when it comes to animals. She is a certified dog trainer and has even clicker-trained her cats. Although I don't know it to be a fact, I don't doubt that she has clicker trained her bird as well. Still, I think that most folks know way too little about birds to make "good" pets of any of the them. Most pet birds come from wild species. The normal lifespan of wild birds in parrot species ranges from 20 to 85 years. The average lifespan of pet parrot pets is two to four years. That's how long most people have a parrot before they "get rid of it" in one way or another. These resources offer differing viewpoints on living with birds. Use them to help you decide if you have what it takes to live with a pet parrot.